Here is the first official trailer for Fox"s The Exorcist TV Series. Fox"s The Exorcist Season 1 trailer displays a lot of suspense and anticipated thrills in the first half then smack, a sudden startle at the window. The second half of this trailer showcases the actual demon related scares and thrills which is what I was hoping to see throughout but I guess some intro was needed in the beginning. Very satisfied with this trailer so far and I cannot wait to see the next one, heck, I cannot wait to see the premiere already. 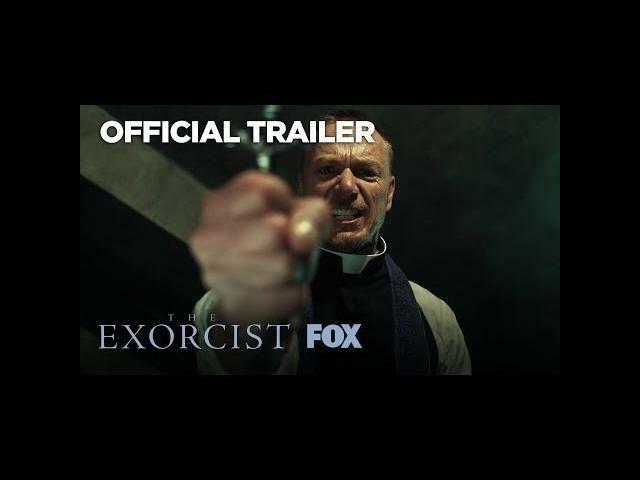 Ben Daniels, Geena Davis, and Camille Guaty star in Fox"s The Exorcist Season 1. Widely regarded as the greatest horror movie ever made, Academy Award-nominated "The Exorcist" terrified audiences around the world. Now, more than four decades later, THE EXORCIST returns as a contemporary psychological TV thriller following two very different priests tackling one family"s case of terrifying demonic possession. Directed by Rupert Wyatt ("Rise of the Planet of the Apes"), the series stars Alfonso Herrera ("Sense8," "The Chosen"), Ben Daniels ("Flesh and Bone," "House of Cards") and Academy Award and Golden Globe winner Geena Davis ("Commander in Chief," "Thelma & Louise").